Group LLC along with its JV partner Kana Hotel Group has announced its successful acquisition of the Embassy Suites Columbus from RLJ Lodging Trust. The acquisition was completed on Oct. 14, 2015 for $14.05 million and an additional $6.5 million in renovations are planned in order to completely transform the hotel’s décor, style, and ambiance. 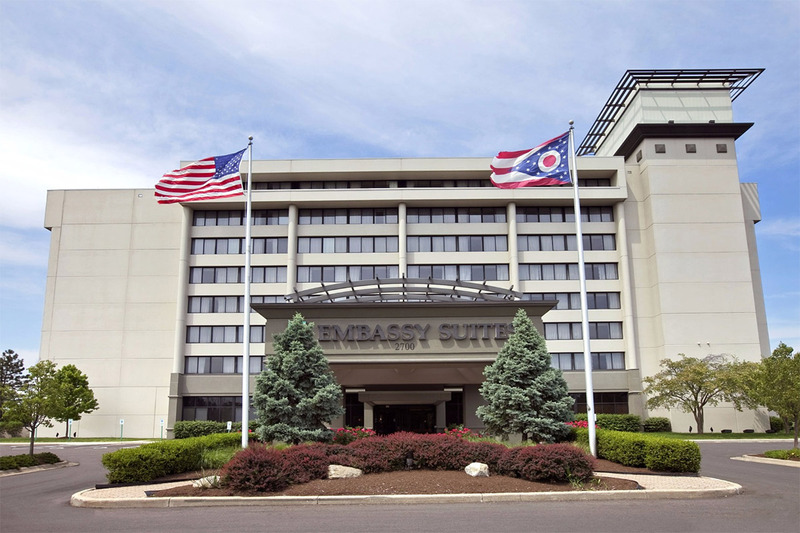 Situated at 2700 Corporate Exchange Drive, Columbus, Ohio, the Embassy Suites Columbus is a prominent eight-story hotel that features 221 two-room suites with sofa beds, 42-inch flat-screen televisions, and 7,100 square feet of flexible meeting space. Located within the Columbus Corporate Exchange Business Park and in close proximity to Polaris, Easton, Ohio State University, Downtown, and Port Columbus International Airport, the Embassy Suites Columbus will offer each of its guests a complimentary made to order breakfast, complimentary wine, and snacks during its “Evening Receptions” in addition to complimentary shuttle service within a 5 mile radius. “The acquisition of a powerful brand such as Embassy Suites by Hilton at 60 percent below replacement costs, provided us a clear opportunity to make a direct investment in a growing Columbus Market that directly aligns with our investment thesis,” says Evens Charles, CEO of Frontier Development Group, LLC. “From a market investment strategy perspective, the asset is located within the 15th largest US city. Columbus is the state capital, has one of the largest universities in the country, a strong corporate presence, diverse economic drivers, and is one of the strongest growing commercial and tech markets,” said Charles. Frontier and Kana’s partnership brings together the key strengths of both companies, those they see as being vital for a sucessful renovation and return on investment. “With Frontier’s ability to source and reposition these types of existing value add assets coupled with our extensive Hilton and Embassy Suites operational and development experience, we believe we are poised to create significant upside with this asset for our capital partners,” says Alpesh Patel, CEO of Kana Hotel Group. The hotel will undergo a transformational renovation whereas all 221 suites will be redesigned and outfitted with a chic, contemporary new look and feel. The atrium will be completely renovated with a new integrated food & beverage zone, a newly added 2nd floor social & connectivity zone, newly expanded and redesigned meeting space as well as a new state of the art fitness center and indoor/outdoor pool. “The renovations are going to touch every aspect of this hotel delivering something not present in the Columbus market at this time,” said Patel. “The design look and feel will be totally different from what you see today and we are excited about this project”.